Wayfair, the largest e-commerce outlet for furniture and home goods, is an often overlooked company growing at 40% y/y. Furniture currently benefits from being one of the most under-penetrated categories in online shopping. Wayfair has been slimming down its loss margins and maximizing the efficiency of its inventory. The stock trades at one of the lowest EV/revenue multiples in e-commerce, suggesting the stock has plenty of room to run in 2018. 2017 has largely been the year of Amazon (NASDAQ:AMZN). The e-commerce giant seemingly captured one out of every five business headlines, with pundits constantly commenting on Amazon's impact on the ill-fated retail sector. 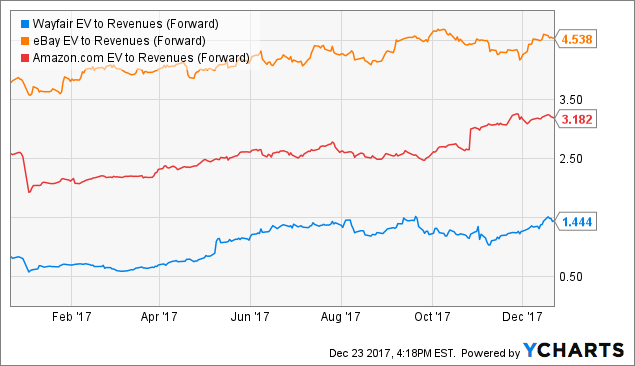 Amidst the attention, Amazon stock (along with the rest of the FANG stocks) has risen to all-time highs, but there's one e-commerce company that benefits from all the same secular trends that hasn't gotten as much attention, and that's Wayfair (NYSE:W). The investment thesis is a simple one: millennial generations will continue to pivot the majority of their spending into online channels in 2018, and under-penetrated categories such as furniture will see disproportionate growth as it comes off a smaller base. 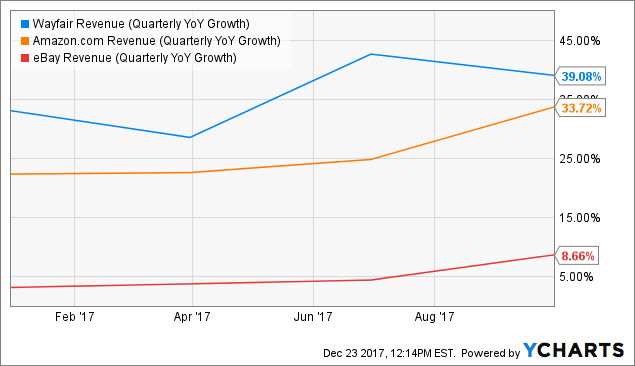 As Wayfair continues to capture the bulk of this spending as the e-commerce leader in the furniture space, its top-line growth, combined with margin improvements, will fuel a sustained rally in the stock.